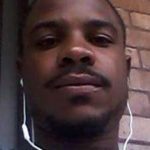 Albert Richardson Boxely, 30, of 1027 Findley, Wilkinsburg, Pa, transitioned into eternal life on Saturday, January 20, 2018. He was born and raised in Pittsburgh, Pennsylvania, son of the late Albert R. Boxley Sr. and Dana Montgomery. Albert belonged to a very large and loving family. He matriculated through the Pittsburg Public School System, where he went on to earn a G.E.D. Albert was employed by the Walnut Grill as a cook. As a young man, he worked to find his purpose in life, though hitting a few bumps along the way he never gave up on himself or his purpose. If you wanted to find Albert, you could log on to your PS4 and find him gaming. He so enjoyed this time as well as never showing up anywhere without his best-friend Jamar. Albert had a great love for is family. He enjoyed the time he spent with his nieces and nephews, they were indeed a joy and very special to him. When it came to his father and his mother, he was a very dedicated son, who sought to make them proud always. As a brother, he loved his siblings and the time they shared. At family events, he showed up and added life to the party that was already going on. Be the first to share a memory of ALBERT.